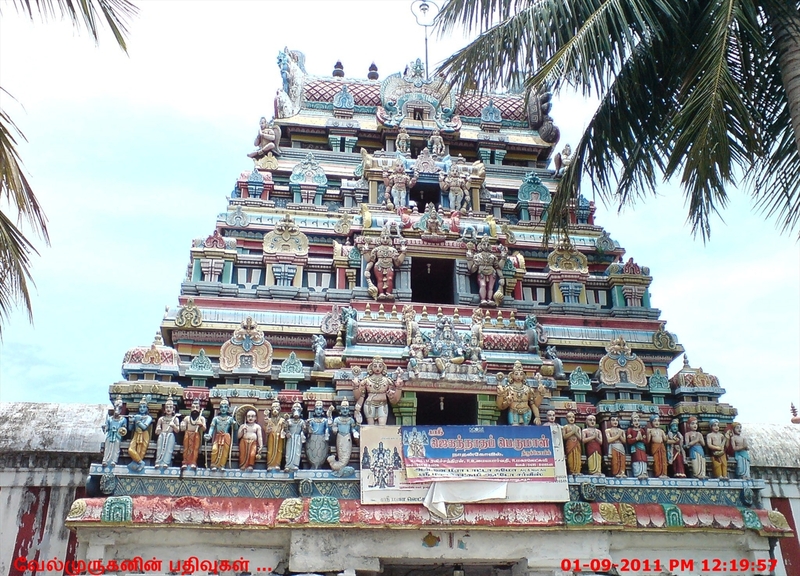 Nathan Kovil or Thiru Nandipura Vinnagaram Temple, a village in the outskirts of Kumbakonam in the South Indian state of Tamil Nadu, is dedicated to the Hindu god Vishnu. 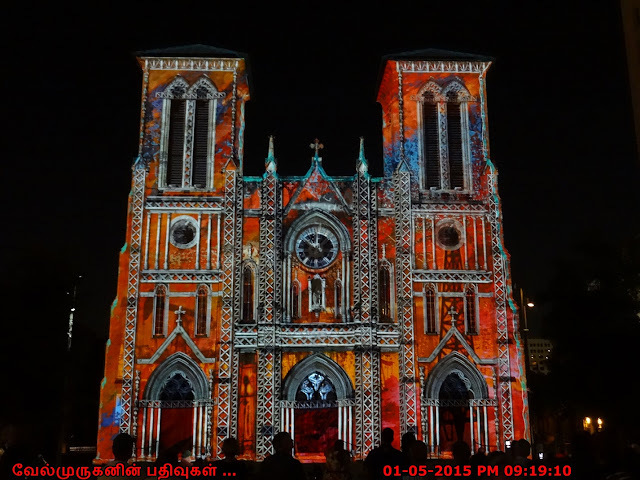 Constructed in the Dravidian style of architecture, the temple is glorified in the Divya Prabandha, the early medieval Tamil canon of the Azhwar saints from the 6th–9th centuries AD. 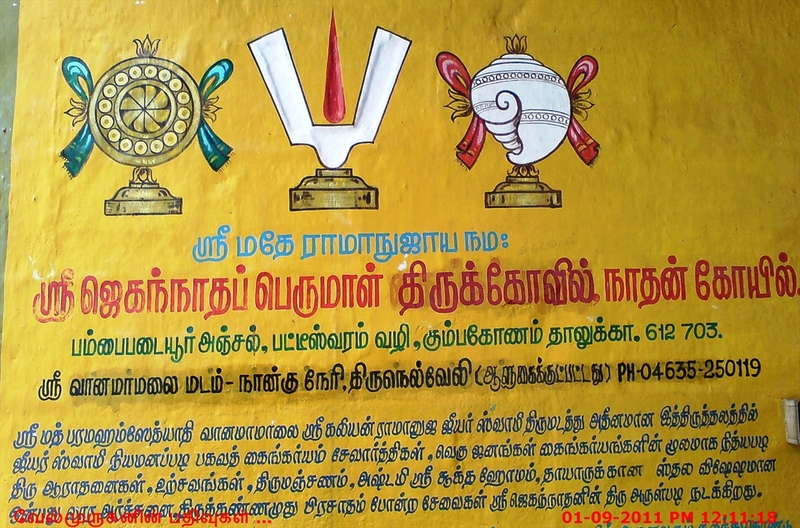 It is one of the 108 Divyadesam dedicated to Vishnu, who is worshipped as Srinivasan and his consort Lakshmi as Shenbagavalli. 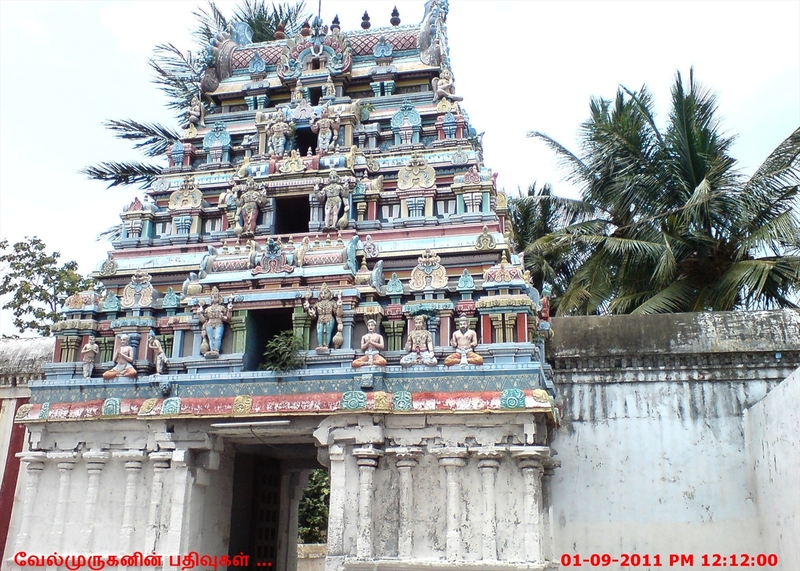 The temple has a 3-tier gateway tower, the rajagopuram. 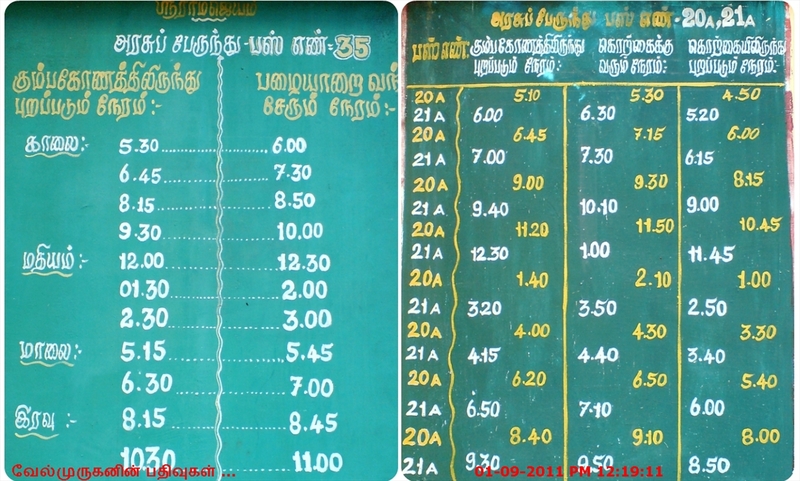 Since Nandi got relieved of his curse here, the names of the temples bodies are named after Nandi; the temple tank is called Nandi Theertham, the vimanam as Nandi Vimanam, the place called Nandipuram and other water body as Nandi Pushkarani. 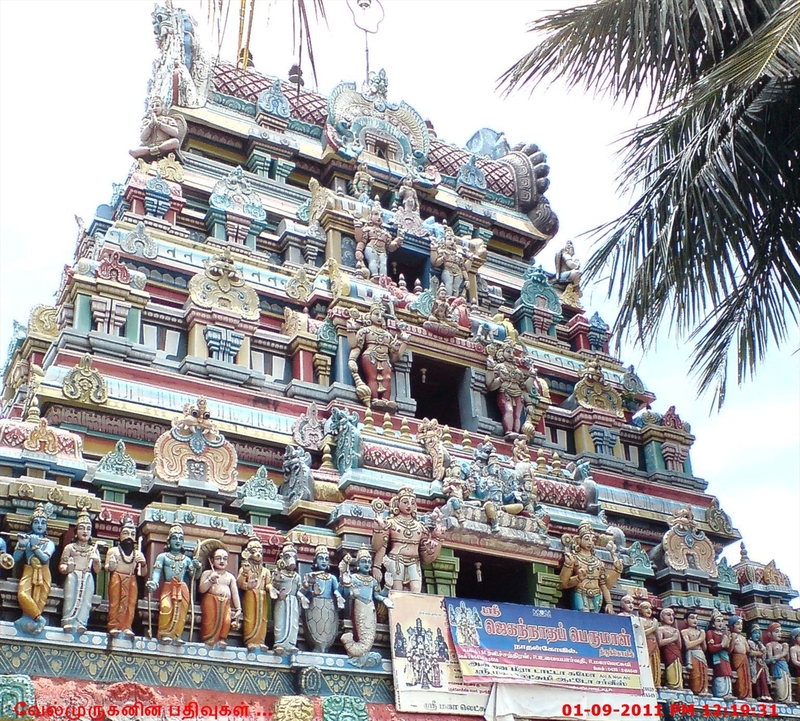 The main sanctum houses the image of the presiding deity, Srinivasa Perumal, the metal image of the festival deity, Jagannatha, the images of Bhoodevi and Sridevi on either sides of Srinivasa. The image of Nandi, which is otherwise part of Shiva temples, is present in the main sanctum. 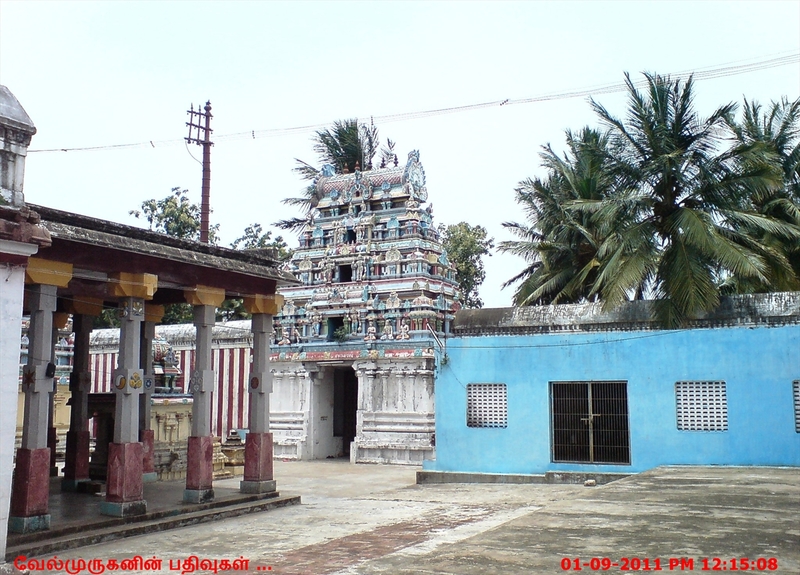 There is a separate shrine for Shenbagavalli Thayar. The rectangular walls around the temple enclose all the shrines and some of seven water bodies associated with the temple. 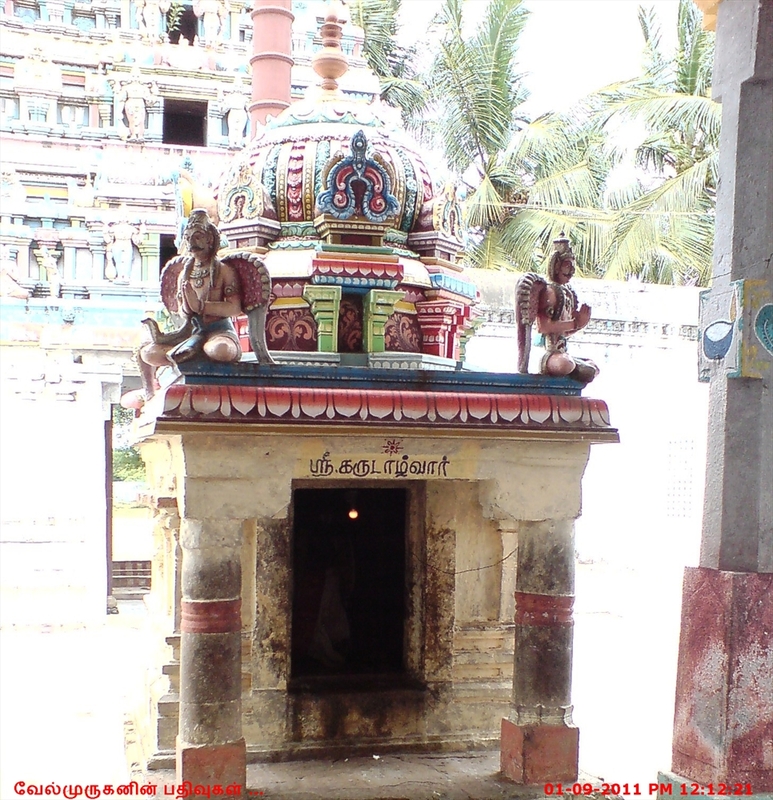 Nandi, the sacred bull of Shiva, is believed to have got his curses relieved by worshipping Vishnu here and hence the place is called Nandipuram. 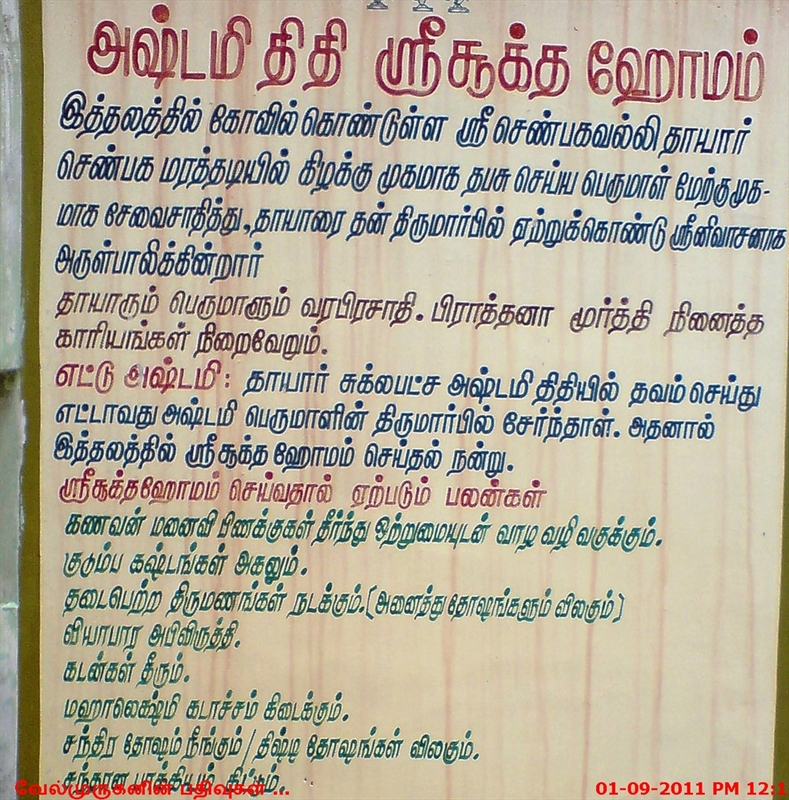 The temple is maintained and administered by the Vanamamalai Mutt. As this temple resembles the Puri Jagannatha temple, it is also known as “Dakshina Jagannatham”. 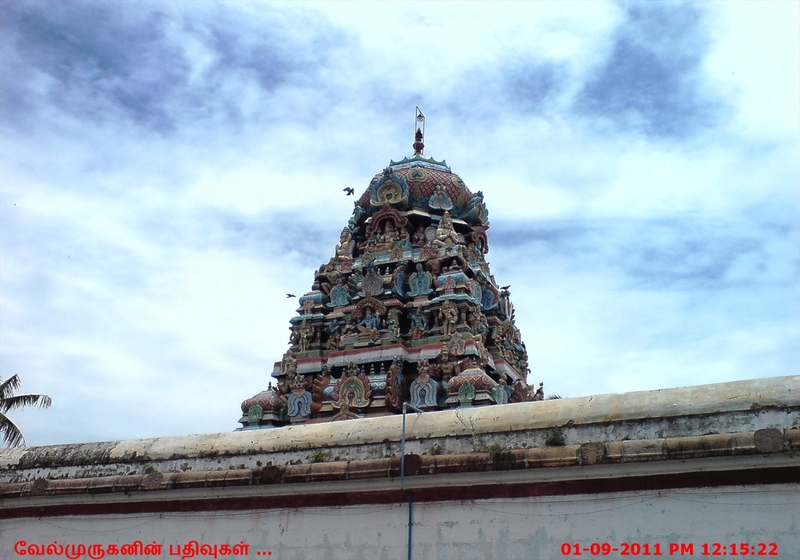 This place was once a forest of Shenbagam flowers and hence is known as Shenbagaranyam, meaning forest of Shenbagam.The Lord is present in a sitting posture, with sword, bow, chakram (discus), sangu (conch) and Dandam (stick) in his hand, under the Mandara Vimanam facing west.